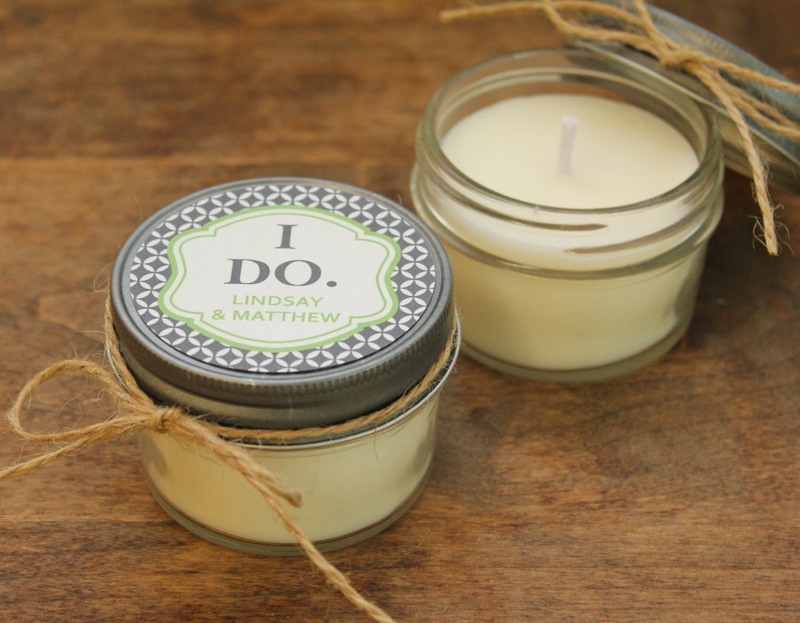 Many couples choose to give candles as their wedding favors. 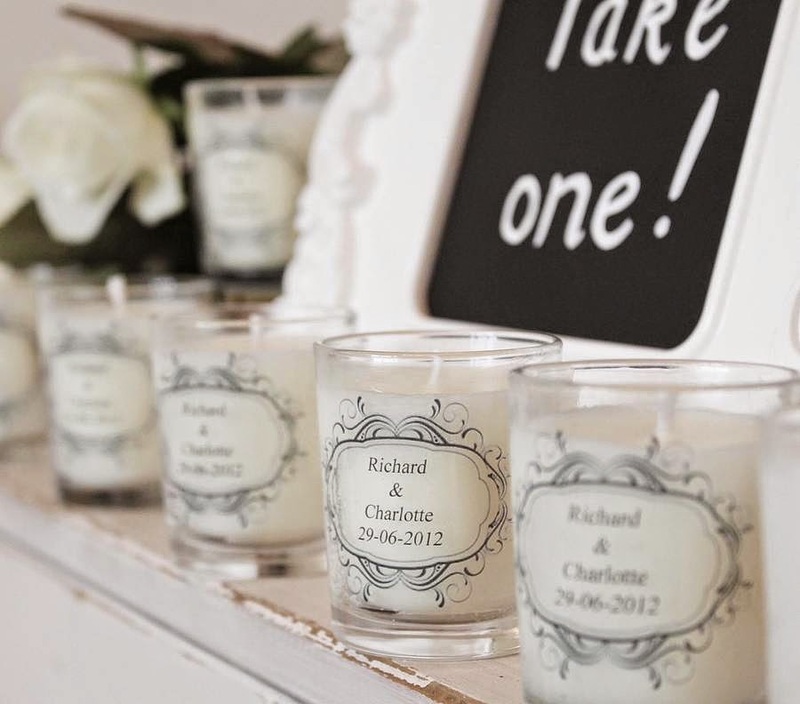 Perhaps this is because their choice with regard to shape, size, scent, color and personalization is so large, enabling them to choose the perfect wedding candle favor - one that reflects their feelings and personality. Personalization Options: Although the vast majority of these favors are not personalized - by doing a bit of research you can find some really fabulous personalized options. This includes anywhere from a monogram to favors that allow you a short message. Some even have images to choose from (wedding doves, a religious symbol, champagne glasses, etc.) The personalization is on the candle container (whether a votive or travel tin) - not the candle itself. 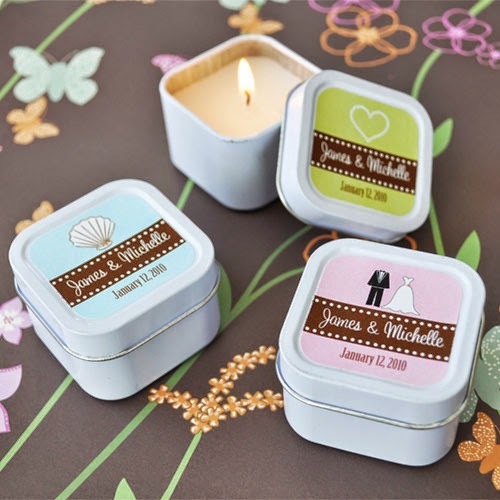 Color and Scent: Some couples choose a wedding candle favor in a color that compliments their wedding color scheme. These mostly are votive candles which typically come in a variety of colors. You can purchase the votives plain or in a container. Hand poured in a glass votive (which is reusable) is a nice touch. Scent, like color, is a personal taste and can go a long way in making your favor uniquely yours. Of course, unscented is also an option. Like your wedding - you want your wedding favor to be a reflection of your personal taste. 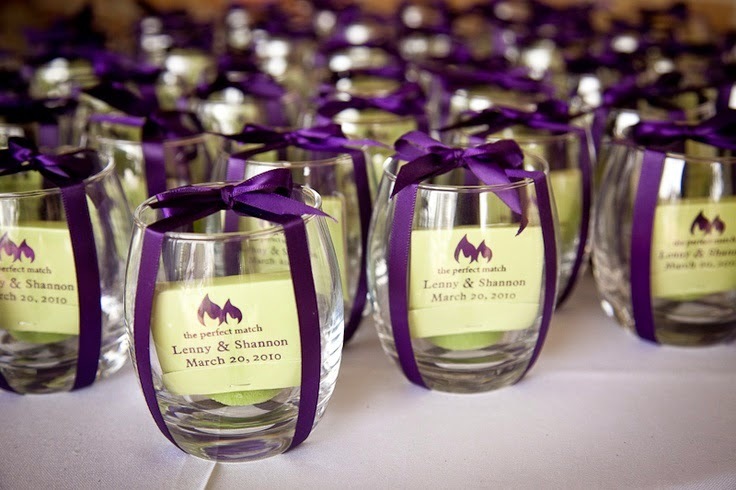 Choosing candle favors as your party favor enables you to do just that.